Cut wings into three sections; discard wing tip sections. In a small saucepan, combine the soy sauce, barbecue sauce and honey. Bring to a boil; cook until liquid is reduced to about 1 cup. Meanwhile, in a large resealable plastic bag, combine the flour, salt, paprika and pepper. Add wings a few at a time, and shake to coat. In an electric skillet or deep fryer, heat oil to 375°. Fry wings, a few at a time, for 3-4 minutes on each side or until no longer pink. Drain on paper towels. 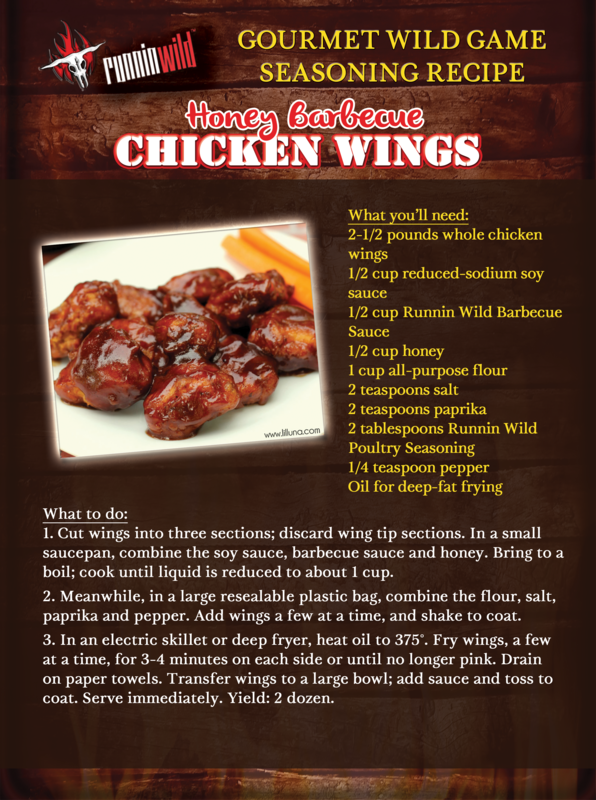 Transfer wings to a large bowl; add sauce and toss to coat. Serve immediately. Yield: 2 dozen.